We have studied the population size, spatial distribution, social associations, habitat use, group demographics, genetics and impacts of tourism on the bottlenose dolphins of Northland since late 1993. 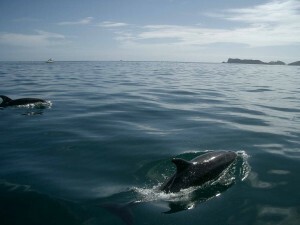 Most of our research has focused on the Bay of Islands as this is the area with the most frequent sightings of dolphins and high levels of anthropogenic disturbance. Bottlenose dolphins have recently been listed as Nationally Endangered (under the New Zealand Threat Classification System) as two of the three main populations, including the Bay of Islands are declining (Baker et al. 2010, Tezanos-Pinto et al. 2013). A recent MSc graduate, Liz Hartel found a significant shift in dolphin habitat use over a 10-year period consistent with the decline in dolphins using the Bay from 1997-2005. We are assessing possible causes of these changes in behaviour and habitat use. Olivia Hamilton recently completed a new estimate for this population and examined the social structure of these dolphins for her MSc in Biological Sciences. 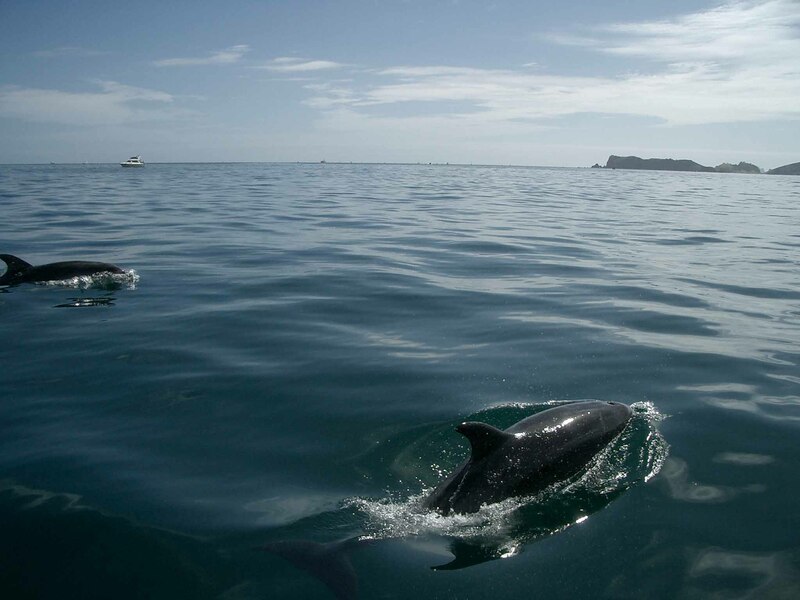 As co-curators (with Dr Karen Stockin of Massey University) of the Hauraki Gulf Bottlenose Dolphin Catalogue, we are examining bottlenose dolphin links between the Bay of Islands and the Hauraki Gulf and investigating their fine-scale habitat use in the Gulf. Completed Feb 2013: Olivia Hamilton (BSc; University of Auckland) – MSc (1st Class Hons).